While we think we are awake in this world, in the mythology of some ancient and indigenous cultures, we are actually living inside the dream of a creator god. It is said that everyone who dreams is a bit of a Shaman. According to the Iroquois view, the dreamer, is the shaman, and he or she may also be the doctor and healer. Another way to consider this is a true shaman, doctor, or healer is required to be a dreamer. For thousands of years, humans have listened to the messages of their dreams and learned how to become more conscious within the dream space. Hinduism and Buddhism have cultivated the ancient practices of lucid dreaming and yoga nidra (“yogic sleep”) to accelerate spiritual awakening. Shamans and spiritual adepts the world over have shown that our dreams can be experienced in deeper, more illuminating ways that open doors to other levels of reality. In the last few decades, these practices have been validated by modern science. Extensive laboratory tests have verified our ability to gain full lucidity and self-awareness in our Dreamtime. “Dreamtime” is perhaps your most powerful time for true soul work. Most of us have been raised believing that dreams are simply products of our subconscious. Ancient indigenous peoples understood that dreaming is actually a form of traveling. In Dreams, you can visit other realms. You can meet teachers. You can connect with the deceased and receive guidance from evolved beings. You can sometimes even see the future. More than anything else, you can use your Dreamtime to nurture an active, ongoing relationship with your soul – making its wise counsel available to you every day. A real dreamer is always hunting his power. He goes out every night, like a hunter with a net, to stalk and catch dreams. The more dreams he catches and brings home alive, the more powerful he becomes. Dreams are a powerful gateway to our healing and growth. All of these exciting, life-transforming possibilities are accessible to you if you learn to engage more advanced practices of dreaming from a master guide. In this two days workshop, learn to tap into your dreams and to find ways to bring their guidance and magic into the waking world. This power is there in the night – in the dreams we may or may not remember – and it is all around us in waking life, speaking to us in the manner of dreams when we pay attention. Why Dreams are important – Scope of Dreamwork and dream source – as a gateway to our healing, growth and transformation. 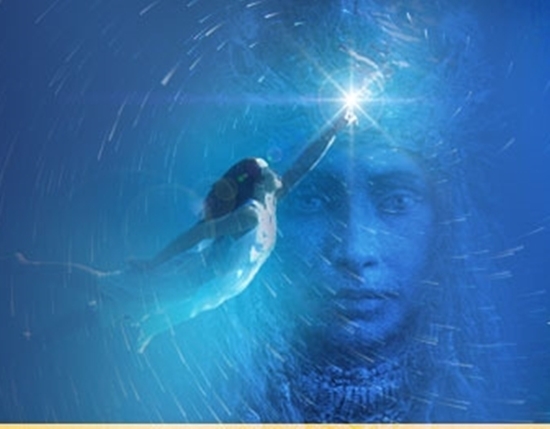 Introduction to lucid / conscious dreaming, learning methods used across the world to journey to parallel realms. Learning to be aware and awake to the speaking land, paying attention to omens and synchronicities for daily living and guidance. We will conduct this workshop in Mumbai on January 19-20, 2019 at Hotel Suba International. Energy Investment: 13999 INR. Out of respect of these teachings, class size is limited. Therefore, a mandatory non-refundable 7500 INR seating deposit is required. To begin the registration process, please fill out the contact form below.